With National Signing Day all said and done, it’s time to see where Georgia Tech football’s 2017 recruiting class ranks among the rest of the ACC. With the 2017 recruiting cycle all wrapped up after yesterday’s national signing day, it’s time to take some time and look back on the cycle. 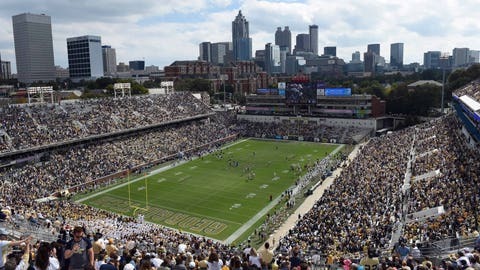 Georgia Tech’s 2017 class was compromised of 24 commitments including two-four star commitments, but where did the Yellow Jacket’s recruiting class rank in terms of the ACC? Before getting started, here’s how the rankings were calculated. The following is the simple process Yellow Jacked Up used to figure out the rankings. After finding out each program’s respective ACC and national rankings for each of the four major recruiting services, the highest rank for each of the respective team was deleted. For all but three teams, this took away ESPN’s respective ranking for each program. The remaining three rankings were then added up and divided by three for each program. Each number was then rounded to the nearest whole number. To test the rankings that were assembled, they were compared to that of 247Sports’s composite rankings and were very similar. Now without further adieu, the 2017 ACC Recruiting Class Final Rankings. Despite having one of their better seasons over the past decade, Wake Forest finished dead last on the recruiting trail in the ACC. 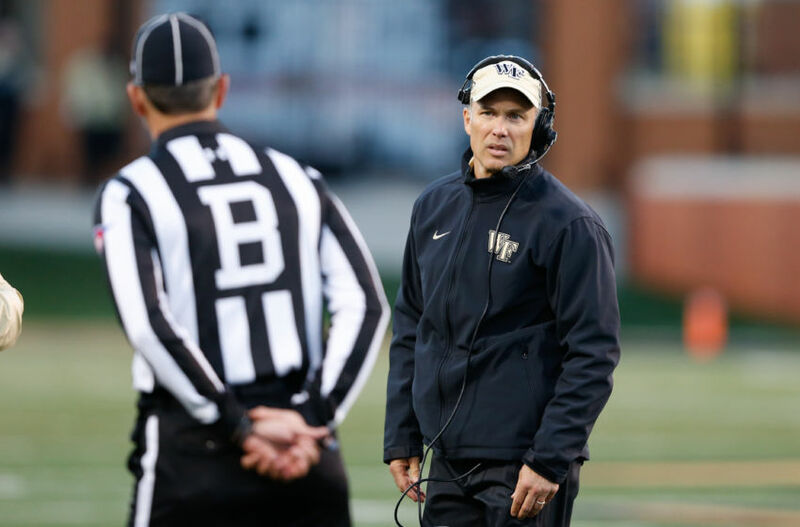 While Dave Clawson and the the rest of his staff are able to land quality three-star recruits, Wake Forest hasn’t been able to attract a four-star recruit since 2000. But the time will eventually come for Wake Forest who showed vast improvement under Clawson in 2017. In their newest class of future Deamon Deacons, Wake Forest signed 17 three-star prospects and thee two-star prospects. That being said, Wake Forest brought in one top-500 player this cycle in defensive end Michael Allen from Lanier High School in Buford, Georgia. They also signed the top rated quarterback out of Pennsylvania in Tayvon Bowers. The good news for the Deamon Deacons is that they already have a commitment in their 2018 class from quarterback Sam Hartman, the 21st overall pro style quarterback. Despite posting this quite confusing but amusing video yesterday, Boston College didn’t finish with an overly great 2017 recruiting class. 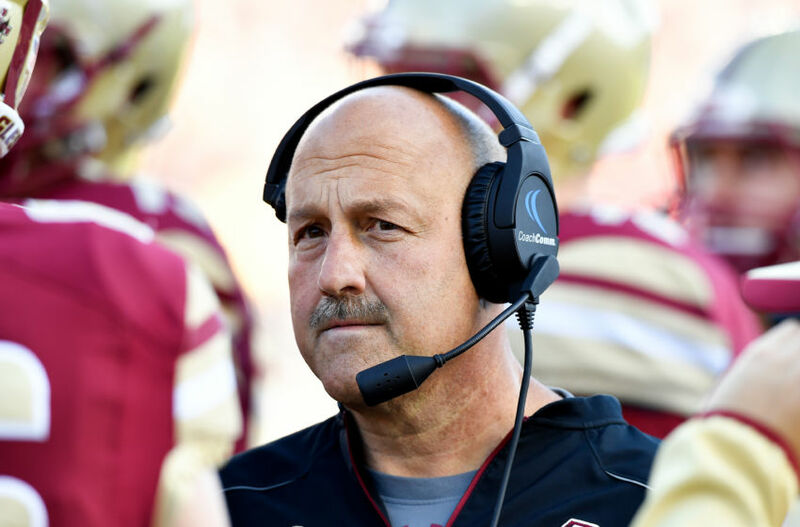 For Steve Addazio, it’s not all his fault, like Georgia Tech, Boston College is a very strong academic school that only takes the best student-athletes in the classroom. Unfortunately, that sometimes takes away big time recruits. Overall, Boston College signed 20 total prospects. Out of the 16 of them are considered three-star recruits. That being said, the Golden Eagles were still able to sign a quality staff which should allow them to compete in the ACC. The top prospect of their class is top-500 prospect A.J Dillon, the best prospect out of Massachussets. Currently, Boston College has nobody committed in the 2018 recruiting class. 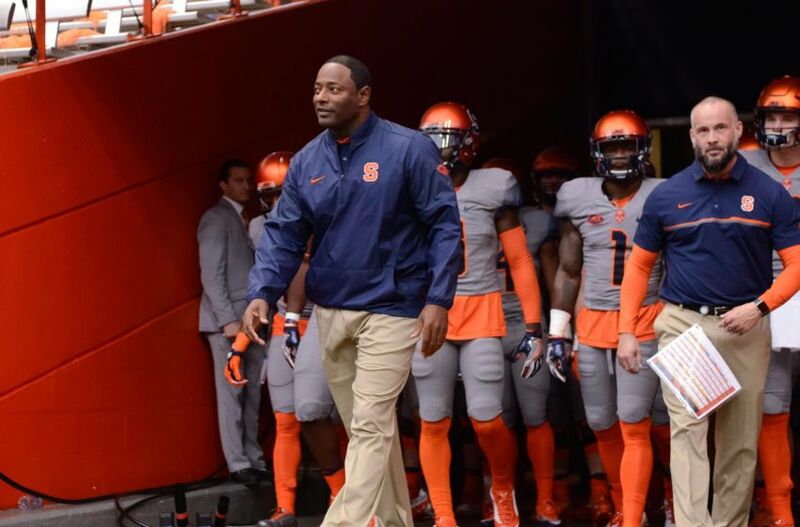 One of the liveliest coaches in the ACC, Dino Babers first full recruiting cycle at Syracuse could be considered a success. While the Orange didn’t sign any composite four or five star prospects, they were able to sign 23, three-star prospects including qurterback Tommy Devito who is considered a four-star prospect by some recruiting services. Syracuse also landed a commitment from one of the top JUCO players in the country, tight end Ravian Pierce from Southwest Mississippi Community College. Despite a 4-8 record in 2016, Syracuse showed improvement throughout the season and looked a like a team that was up and coming. As time goes on, Babers an excellent recruiter should begin to be able to pull more top talent to play for the Orange. Currently, they have no 2018 commitments. 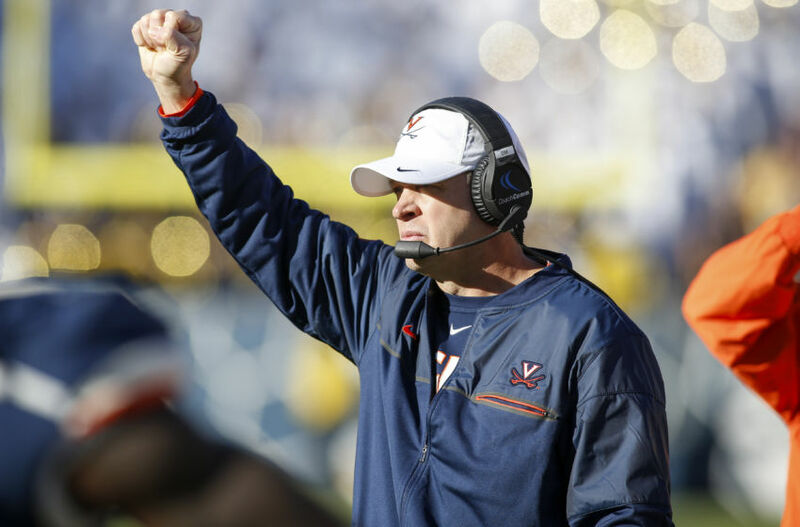 Bronco Mendenhall’s first full cycle as head coach could most likely be deemed a success. While it’s not full of four star recruits, the former BYU head coach was able to land commitments from some highly recruited three-star prospects. Virginia’s 2017 recruiting class is headlined by four of out of state prospects. Three-star offensive tackle Ryan Nelson, from California is the highest rated signee while North Carolina native and athlete Germane Crowell and Pennsylvania linebacker Zane Zandier. The final notable out of state prospect is athlete Shawn Smith from Brunswick, Georgia. For Mendenhall, it’s not an overly fantastic glass but it can be one that gets the ball moving for the Cavaliers. With Virginia not being able to find a tremendous amount of success on the field in the last few years, a strong recruiting class like this one could help get the momentum moving in the right direction. In the 2018 recruiting class, Virginia currently holds a commitment from three-star linebacker Noah Taylor. While some expected the Wolfpack to a take a step forward in 2016, Dave Doeran’s team looked to be in the same spot they were last year. Not a great team but no a horrible team, the Wolfpack went 7-6. 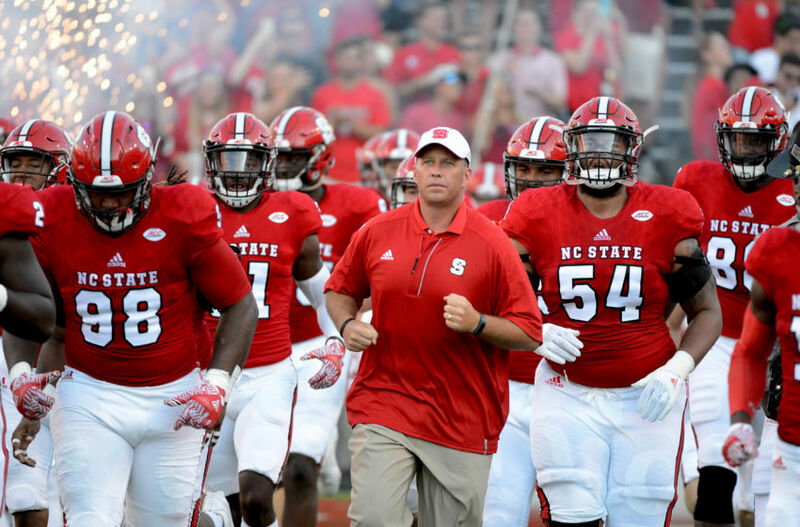 On the recruiting trail, the Wolfpack were able to land some key commitments including three-star defensive tackle Grant Gibson and three-star wide receiver Emeka Emezie. Overall, Doeran and the N.C State coaching staff signed a total of 27 prospects that included 21 three-stars and seven two-star prospects. Th 2018 class for North Carolina State is off to a great start including a commitment from four-star athlete Ricky Person. Despite a rough 4-8 season, Dave Cutcliffe and Duke was able to pull in a top-50 recruiting class in the 2017 cycle. The class of 22 signees included one four-star recruit and 22, three-star recruits. The prized possession for the Blue Devils in the 2017 recruiting cycle was top-300 defensive end Drew Jordan out of Suwannee, Georgia. Cutcliffe’s staff was also able to land commitments from top-20 tight end Jake Marwede and top-10 center Will Taylor, another Georgia native in the recruiting cycle. 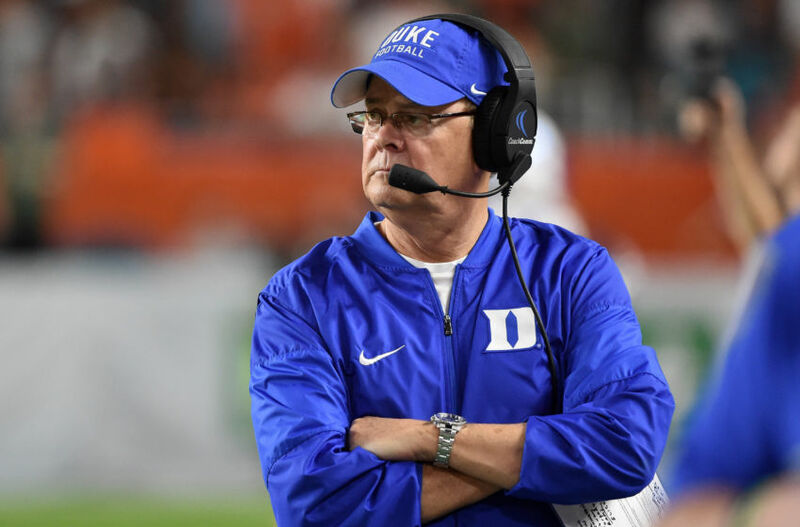 Overall, the class is a step back of last year’s that finish in the top-35 of college football but is still a strong class that should allow Duke to return to a high level of football that they played in 2013 to 2015. The Blue Devils currently have two 2018 commitments including one from three-star Georgia native, cornerback Taiyon Palmer. The 2017 recruiting class was the best for Georgia Tech under Paul Johnson and also featured one of the best commitments of the Johnson era as well. The top-50 recruiting class was headlined by Bruce Jordan-Swilling, a four-star linebacker out of Louisiana and the son of GT legend Pat Swilling. 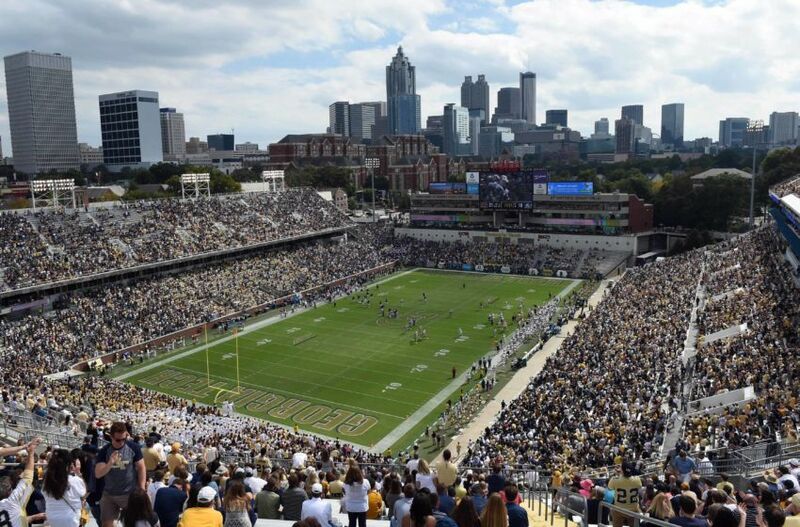 The Yellow Jackets landed two other top-500 prospects in the class in linebacker Jaquan Henderson and cornerback Tre Swilling, the brother of Bruce. 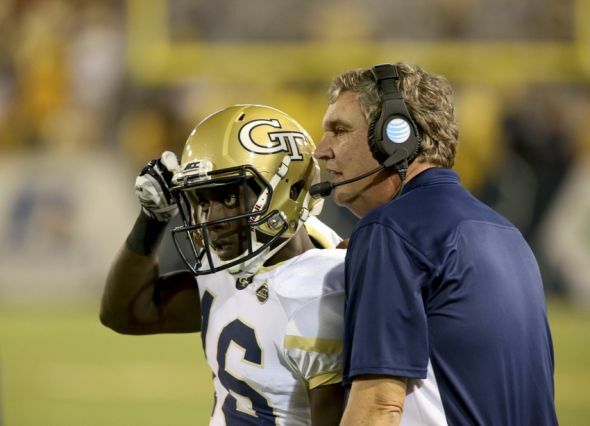 Paul Johnson and staff were able to finish strong over the last month of the cycle propelling Georgia Tech from a ranking in the high-50s to a top-50 class overall. Currently, Georgia Tech has no 2018 commitments. 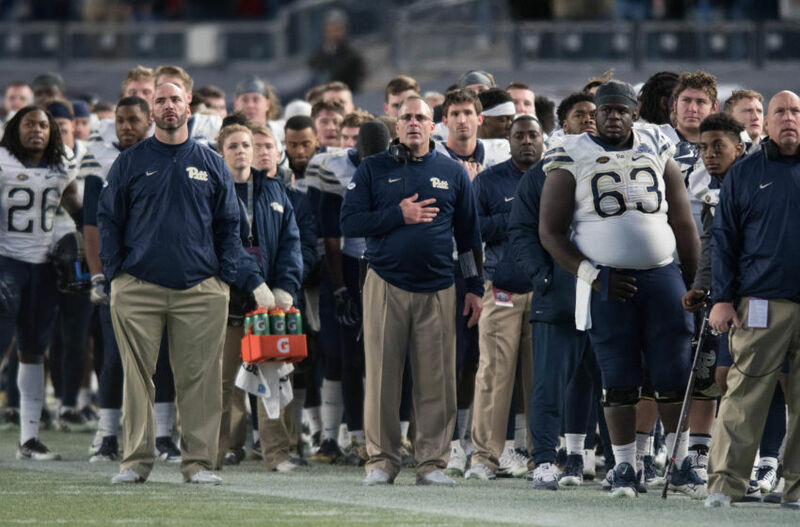 Pat Narduzzi had a 2017 class that he can be proud of. Despite losing top rated in-state cornerback Lamont Wade to Penn State, Pittsburgh was able to land the talents of one of the top safeties in the country in Paris Ford. Narduzzi and his staff signed four other top-300 ranked players including running backs A.J Davis and Todd Sibley. While they did miss on some major recruiting targets, the Panthers did a quality job overall. Out of their 25 signees, four new Panthers were considered composite four-star prospects in the 2017 cycle. Pittsburgh will look to improve upon their 2016 season in 2017 despite losing offensive coordinator Matt Canada to LSU. Currently, the Panthers have no commitments for the 2018 recruiting class. 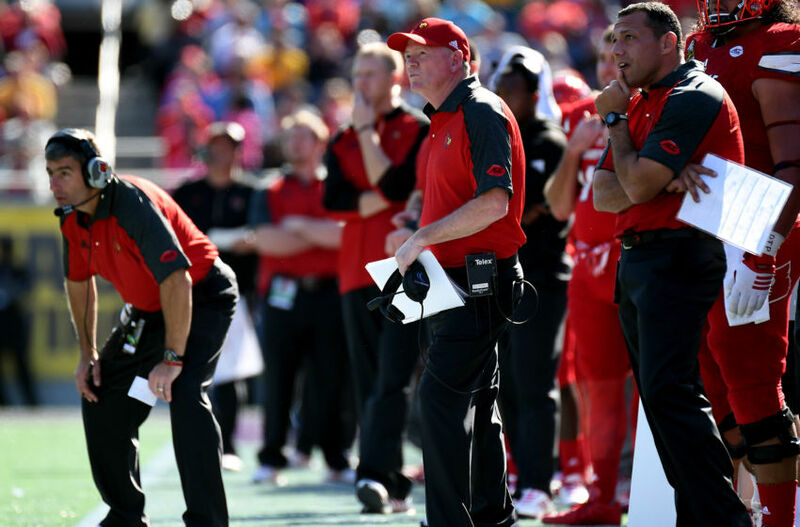 Despite having the Heisman Award winner and being in the top ten for most of the season, Louisville was unable to land a top-25 recruiting class. That being said, Bobby Petrino was able to land three, four-star prospects in the 2017 recruiting cycle. The class is headlined by safety, CJ Avery, a four-star safety out of Missisippi. The Cardinals also signed top-250 player running back Colin Wilson and top-300 player cornerback Russ Yeast. Overall, all but one of Louisville’s 2017 recruiting class were rated three-stars or better. Larry Fedora compiled one of his best classes at North Carolina in 2017, bringing in four, top-300 prospects. The class is headlined to offensive guard Jonah Melton, the second best prospect from North Carolina. The Tar Heels were also able to sign the fourth, seventh, and ninth best players in the Tar Heel State. North Carolina also landed the top prospect from West Virginia in offensive tackle Billy Ross. 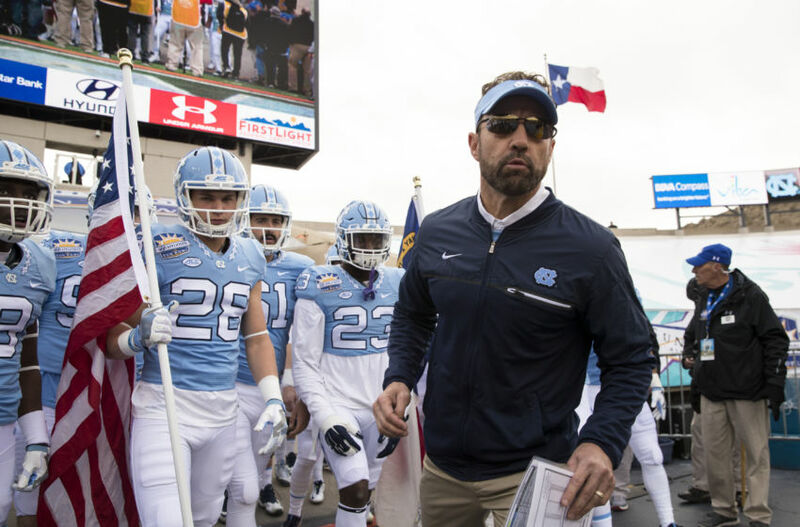 North Carolina will continue to be a team on the rise as long as Larry Fedora is at the helm leading the Tar Heels. It is also North Carolina’s fifth consecutive top-35 recruiting class and sixth since 2010. The tar Heels currently have one commitment in 2018 from cornerback Donte Burton. 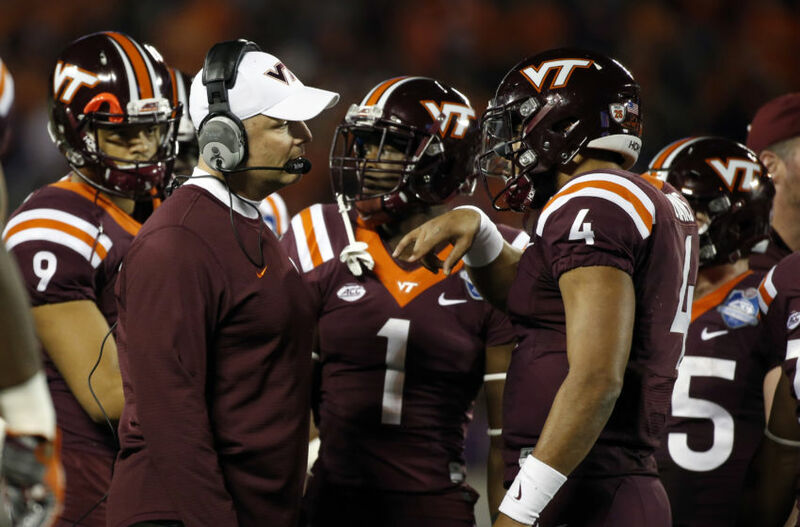 ACC Coach of the Year winner Justin Fuente’s first cycle as Hokies head coach was nothing short of a success. Despite getting hit hard by a few decommitments and recruiting trail losses on national signing day, Virginia Tech finished with their first top-25 recruiting class since 2013. The Hokies 2017 class is lead by safety Devon Hunter, one of the top-50 players nationally and the third best safety of the cycle. Notable names behind Hunter include linebackers Nathan Proctor and Dylan Rivers both who were at one point expected to be headed for Penn State. The Hokies also landed one of the top prep school prospects in offensive tackle Silas Dzansi. Looking ahead at the 2018 class, the Hokies currently have three commitments, all three-star prospects. The defending national champions come in at the third spot in the ACC’s top classes. The 16th overall ranking for Clemson is the lowest for a defending national champion in a long time. That being said, the Tigers low ranking isn’t due to a lack of talent but more of a small class size. The Tigers 2017 recruiting class is headlined by the second best pocket passer in the country, five-star Hunter Johnson and the second best wide receiver in the country Tee Higgins. Following Johnson and Higgins, the Tigers have nine, four-star signees, and three, three-star signees. 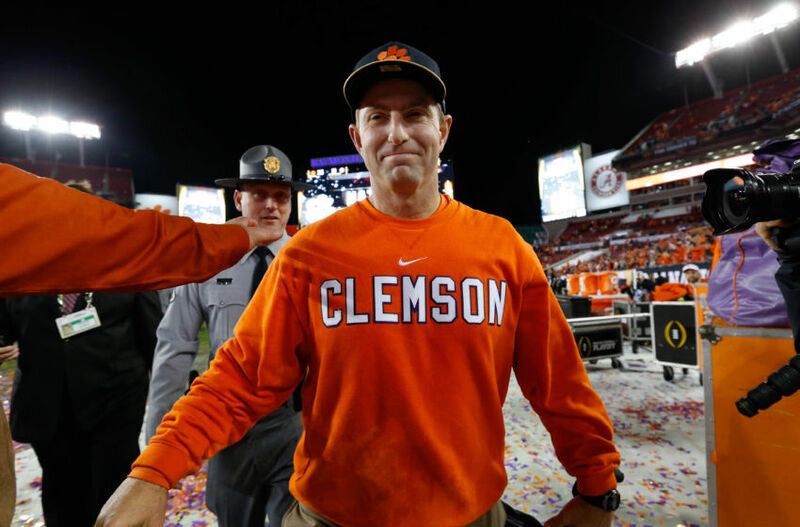 Clemson’s 2018 recruiting class however is already starting to take shape with five commitments so far including one from the best prospect in the country, quarterback Trevor Lawrence. Mark Richt’s first full recruiting class at 2017 was a successful one, bringing in the Hurricanes best class since 2014. For the past recruiting cycles, Miami was a program that always got off to fast starts in recruiting but never were able to finish strong, dropping out of the top twenty classes. The 2017 recruiting class however was a little different. In Mark Richt’s first full recruiting class as head coach, the Hurricane finished with a top 15 class. The Hurricanes newest crop of recruits features ten four-star prospects the most out of any 2017 recruiting class in the ACC. Miami’s 2017 class is headlined by four-star wide receiver Jeff Thomas and four-star offensive tackle Navaughn Donaldson. 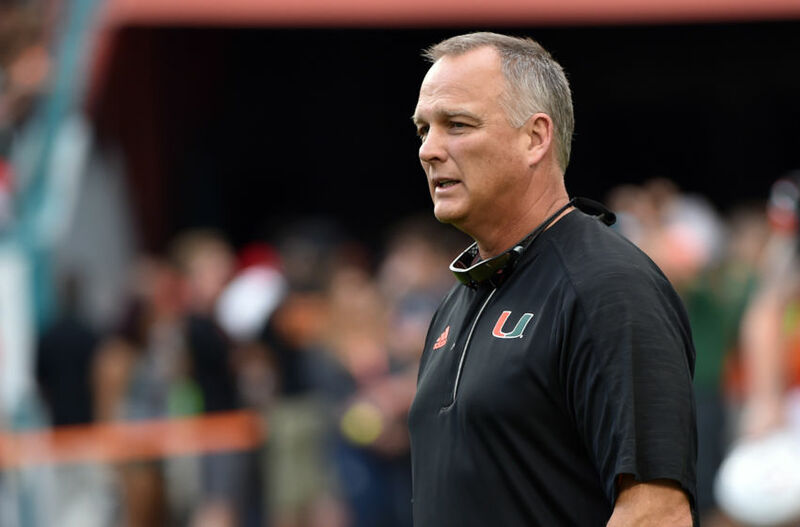 Overall, Miami appears to be in good hands under Mark Richt as they already have seven commitments in the 2018 recruiting class. Jimbo Fisher once again did a phenomenal job on the recruiting trail for the 2017 class, leading the Seminoles to the best class in the ACC and the sixth best nationally. 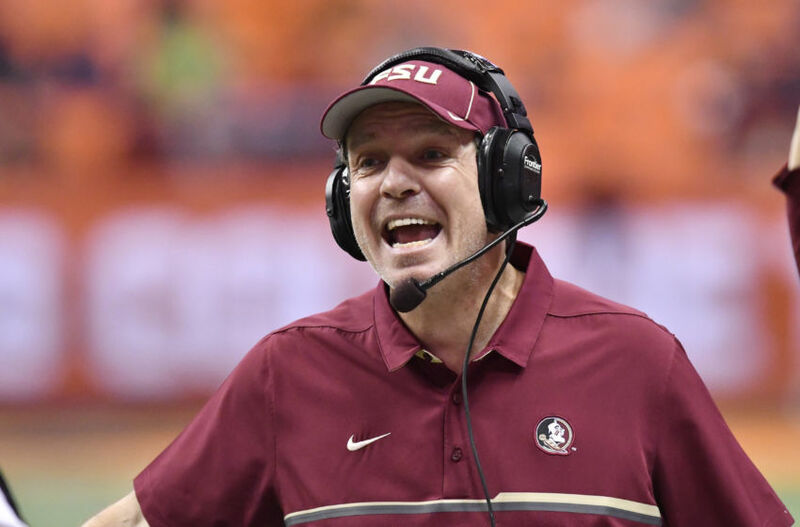 Fisher and the Florida State coaching staff were able to grab four, five-star recruits in the 2017 cycle, after grabbing just one in the 2016 cycle. The four five-star recruits that will be in Tallahassee next season are RB Cam Akers, DT Marvin Wilson, DE Joshua Kaindoh, and RB Khalaan Laborn. Respectively, the four top prospects are ranked 2nd, 6th, 9th, and 26th in 247Sports’s National Rankings. Wilson, was a National Signing Day commitment for Florida State that will surely give them momentum heading into the 2018 recruiting cycle. Other notable recruits that the Seminoles landed include top 40 cornerback Stanford Samuels and top 100 wide receiver D.J Matthews. Want your voice heard? Join the Yellow Jacked Up team! Overall, the 2017 recruiting class for the Seminoles will allow the program to stay consistently at the top of the ACC. The Seminoles are off to a hart start in 2018 as well, with six commitments already.